Because little things are practice for big things, I decided to roll around in the grass at the house next door, (which is about to be torn down), and count the clouds! To me, little things and baby steps are key. They are a form of reassurance. Come visit this lovely spring grassy group: Becca, Tammie, Renee, Marian, Ariane, Carole, Renilde, Viola, Nadine, Eric, Emily, Patrice, Renee, and Melodye. artDrawing ChallengeFunHow hard can it be? Good bye ugly, ugly photinia hedge! 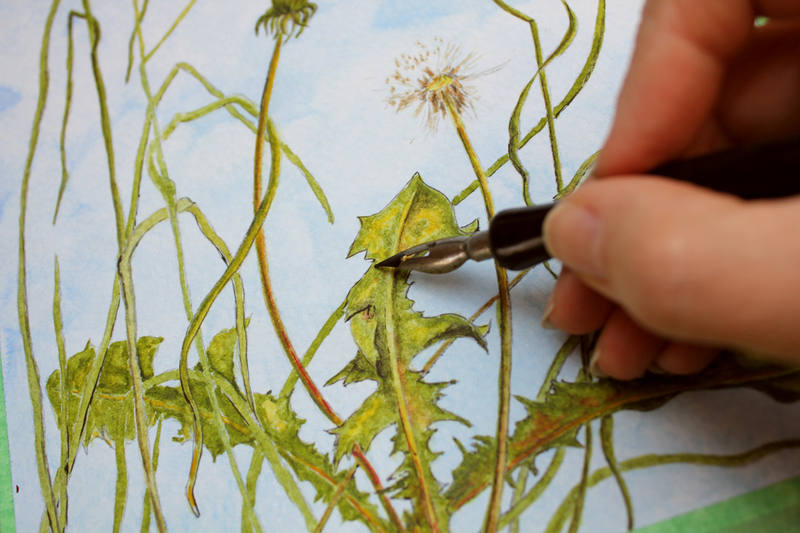 Where are the dandelions of yesteryear? There’s a poem in there somewhere. Oh this is sooo beautiful! Grass as you can see it from lying in the grass! thank you for being our host! 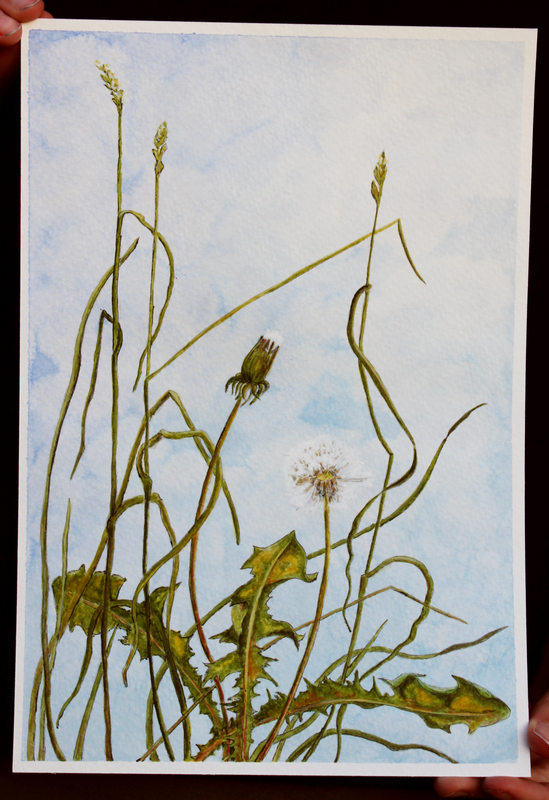 keen observation, you show us the elegant side of grass and dandelions, often considered as ‘just weed’,beautifully done dear Veronica, beauty is all around for those who want to see. 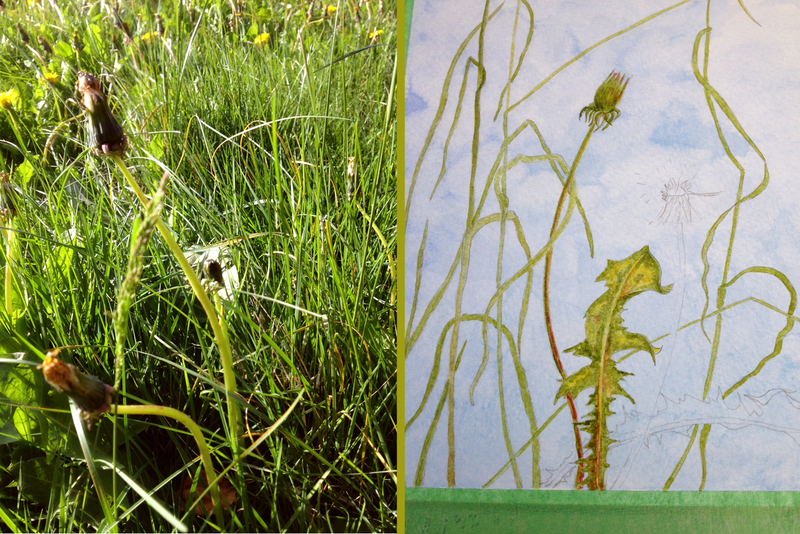 I was mowing my 1yr old lawn – such tiny blades of grass – I left the edges tuftty just to see the wild flower heads! and this fine springlike theme! that you don’t have a link to my name…..
Oops, fixing that right now. 😀 Sorry about that sweetie. Your rolling around in the grass gave a wonderful result! Thank you for hosting. Rolling in the grass, dear Veronica, is fine! Your drawing is precious as a etching, great. Thank you for hosting, again, Dear. Grass has brought me back to memory lane… and cheered me up (’cause my sister has left Hamburg on Friday I felt sorrow of leave-taking). just beautiful, fresh, sparkly… and of course the roll next door… n?